Today was a busy day at work, and I had to work through lunch–meaning I haven’t had time to put together a decent post. So I’m going to write up a quickie on a topic I’ve been sitting on for just such an occasion: what makes good horror literature. 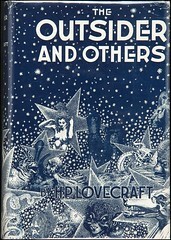 First, a story: The Outsider, by H. P. Lovecraft. This is probably my favourite horror story, and it serves as a great example of the point I’m trying to make today. Go ahead, give it a read. I’ll wait. Okay. The first thing you note about this story is the way it builds–and Lovecraft is a master at this kind of tension. You’ve got the whole story figured out right from the beginning paragraph–or so you think–and so the description and the action can appear a bit tedious. But the more you read, the more “off” everything feels. He drops hints here and there as to what’s really going on, while at the same time putting more and more of a veil over what you think you’ve figured out. Then there’s the ending. At this point, you’ve probably understood what’s actually going on, but you can’t stop yourself–it’s like rolling down a hill with the break line cut, going fast and faster until you drive off the pier at the end. And that is what good horror should be. And, although I can’t claim to have mastered this myself yet, here’s the secret to writing good horror fiction: don’t work too hard. Let the reader do most of the work for you. Get them all worked up. Give them hints, but not too much; give them direction and plot, but leave just enough open that they have to do some thinking. And I don’t mean you should set up a mystery they should be trying to figure out: literally leave out certain details, don’t explain certain things. A lot of writers are going to say that’s a cardinal sin, but I’ll stand by it. Think of the movie Alien. The whole reason it was scary was because you didn’t see the alien until it was too late. In the meantime, you see people’s horrified reactions, hear them panting as they run through the halls escaping it. And, most importantly: you’re making up your own alien to fit the stimuli. Writing horror literature is about trusting the reader. You want them to follow along with your story and fill in the blanks, because–and trust me on this–anything the reader comes up with in their own mind is going to be infinitely more frightening than whatever you could come up with. And that’s not because you’re not a good writer–it’s because they know what scares them most. You don’t know that. You’ve probably never met your readers; how are you supposed to know what scares them? They know they’re reading a scary story, so they’ll fill in details with things they find scary. And half your work is done for you. Okay, okay. I know it’s not really that simple. But it’s a start. And it’s a load off. I think a lot of writers and move makers try so hard to scare their audience that they fall on tired old tropes and ideas that nobody finds scary anymore. The first Friday the 13th was awesome because you’d never have guessed who the bad guy is; by Jason X (or, affectionately, Jason in Space) there’s nothing left to be scared of, so the director has to fill the movie with special effects and tons of gore. And this is why Lovecraft is always going to be my favourite horror writer. His stories baffle me, complete and utterly. The things he describes have no meaning in this world–most of his characters literally go insane when they confront these things–but that means I can make them up myself. I follow his lead, of course, and every time I re-read a story I know exactly what’s going to happen. But because I’m the one filling in the blanks, it happens differently every time. And he always gets me. And hey, you wouldn’t expect me to pass up a golden opportunity like this would you? You can grab my own scary stories at Amazon and Kobo right now! Happy Halloween, everyone! Yesterday I did a review of an indie writer, part of an ongoing habit I’m trying to form. Today, I’m going to post a brief interview. I did this with Yesenia Vargas a while back, and would like to interview other indie writers in the future–if you’re writing and would like to be featured on the blog, get in touch at jparsonswrites@gmail.com! 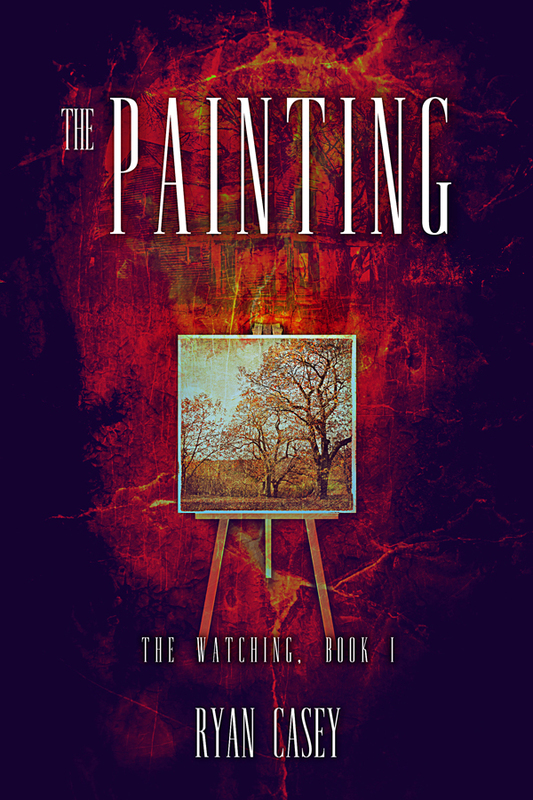 Ryan Casey is a writer who specializes in horror/suspense/tension–which happens to be one of my favourite genres. So I wanted to pick his brain a bit on that topic. As usual, my questions in bold, his answers in regular text. 1. What made you want to write in the horror/suspense genre? Horror/suspense has always been my genre, to be honest. It’s the genre I’ve always been fascinated by, whether it be in books, TV, films, or whatever. 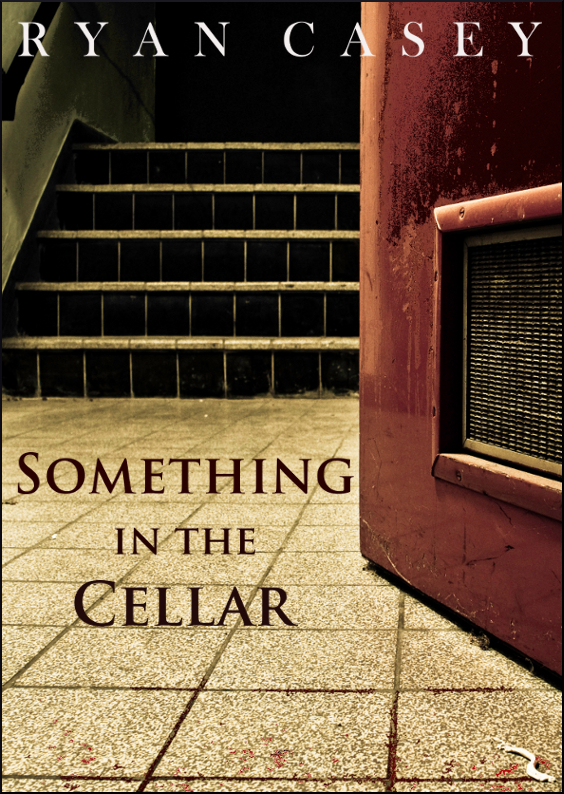 Something in the Cellar was my first ‘serious’ release, so it just felt right to write in my comfort zone. I asked myself the hypothetical question, ‘what would a woman do if she’d murdered her husband and locked him in the cellar?’ and it just kind of went from there, really. The Runaway (the accompanying short story) is a much more recent piece of mine. I wrote the title story around 18 months ago in its original incarnation, so it’s quite ‘old’ in that respect. With The Runaway, it was kind of nice to write because I’ve been busy working on a sort of mystery/coming-of-age novel for the past year, so it was great to just go crazy. I think The Runaway is my favourite of the two, to be honest. 2. Do you have favourite techniques for creating tension? Well, there are of course the technical tricks you can use, but I think one thing I’d emphasize is characterization. If you don’t invest in the character, then it goes without saying that the ‘tension’ won’t be relatable. That’s what I had to try and do with Something in the Cellar: present this woman who has obviously committed a terrible crime, but gradually reveal little things and clues about her life that almost ‘rationalize’ the behaviour. I like a good twist, too. Without wanting to spoil anything, I like twists that pull the rug from under people’s feet and force a complete reassessment, particularly in short stories. If I’ve come anywhere near achieving that in Something in the Cellar/The Runaway, then I’m delighted. 3. What the most genuinely scary book you’ve read? The scariest book I’ve ever read was actually a Horowitz short story collection when I was around ten years old. It was called ‘More Horowitz Horror’ I think. Of course, the stuff is probably pretty tame now, but I always remember there being a little short story added on the end by a supposed maniac who had intercepted the publication of the book and personally delivered it to me, complete with a ‘I’m going to kill you’ death threat. Rest assured, I didn’t sleep for weeks. Non-fiction really scares me today, though. Stuff about serial killers, and real life atrocities. I’ve probably become a little desensitized to conventional horror movies, so documentaries and things like that really get to me. And there we have it. I’d certainly reccomend that you check out Casey’s book, which you can find here. You can find Ryan at ryancaseybooks.com, and on Goodreads. Finally, I also found the book Ryan mentioned–More Horowitz Horror. You can get it on Amazon or the Kobo store. Sweet dreams!